Titan Pharmaceuticals (NASDAQ:TTNP) has entered into a definitive asset purchase, supply and support agreement with closely-held L. Molteni & C. dei F.lli Alitti Società di Esercizio S.p.A. of Italy, through which Molteni has acquired the European intellectual property related to Probuphine, including the MAA under review by the EMA, and will have the exclusive right to commercialize the Titan-supplied Probuphine product in Europe, as well as certain countries of the Commonwealth of Independent States, the Middle East and North Africa. 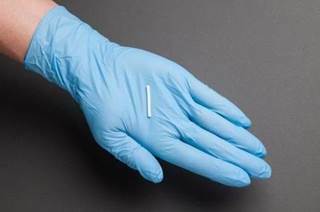 Probuphine is the first and only FDA-approved subdermal buprenorphine implant. It provides continuous, around-the-clock blood levels of buprenorphine for the treatment of opioid dependence for six months following a single procedure. Molteni operates directly and indirectly through its network of specialized partners in more than 30 countries and is a leader in the field of drug dependence. Under the accord, Titan received an initial payment of approximately $2.4-million and would receive potential additional payments totalling up to about $5.5-million on achieving certain regulatory and product label milestones. In addition, Titan is entitled to receive earn-out payments for up to 15 years on net sales of Probuphine in the Molteni territories, ranging in percentage terms from the low-teens to the mid-twenties. The agreement supersedes a previously executed term sheet that contemplated a license arrangement with respect to the intellectual property Molteni has acquired from Titan. As part of the transaction, Molteni also made an indirect strategic investment in Titan by purchasing $2.4-million of the outstanding $4-million principal balance owed under Titan's July 2017 loan agreement with Horizon Technology Finance. Molteni also was appointed collateral agent and assumed majority and administrative control of the debt. On meeting certain conditions, including repayment of the remaining principal amount of $1.6-million to Horizon, the loan agreement also includes provisions for the conversion of Molteni's $2.4-million portion of the debt into shares of Titan's common stock at a conversion price of $1.20 a share. “We are pleased to form this important partnership with Molteni, a company with a strong track record of success launching and commercializing innovative pain and addiction pharmaceutical products in Europe, that also shares our enthusiasm about the prospects for Probuphine," Titan president and CEO, Sunil Bhonsle, said in a statement. "In addition to providing an opportunity to expand the commercialization of Probuphine beyond the U.S., the additional financial resources and flexibility provided by this transaction enables us to evaluate options to further strengthen our balance sheet, position Probuphine for commercial success in the U.S., and work to advance our pipeline of other ProNeura-based product candidates," he added. Molteni president, Giovanni Seghi, added, “We remain confident that Probuphine has the potential to become a new paradigm for the treatment of opioid addiction in Europe, the second largest market for buprenorphine-based products in the world." In connection with the asset purchase and amended loan agreements, Titan has granted Molteni board designee and observer rights. Titan executive chairman, Dr. Marc Rubin, said, “Our interactions with Molteni management over the past several months have clearly demonstrated their strong commitment to Probuphine and Titan. We know that Molteni shares our vision for Probuphine and we are looking forward to a strong and successful partnership."